Three years ago I attended my first Anzac dawn service, just outside the Roseville Memorial Club in Sydney’s leafy North Shore. The service commemorated the Diggers who were killed in Gallipoli in 1915 – a World War I disaster that was called a “magnificent defeat” because of the bravery displayed by Australian and New Zealand soldiers (the Anzacs). “And that’s why we gather in thousands around war memorials around the country for dawn services and marches to remember our fallen heroes. In Sydney, they cheered as the Old Diggers, decreasing in number, marched, or were carried down George Street during the parade. 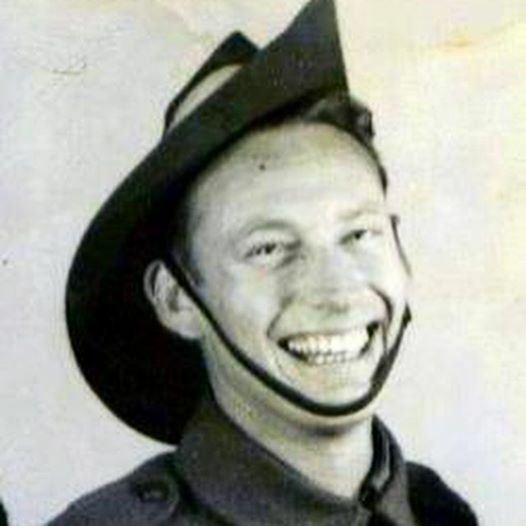 “Forty years ago, when I experienced my first Anzac Day, I thought it was all about two-up and drinking beer and having a day off, remembering a tragic loss in Gallipoli. Now I know it’s like Armistice Day, but even better. We celebrate the bravery of the Diggers who climbed out of their trenches to face almost certain death against equally gallant Turkish forces. Well, that was three years ago, and on this morning, the 100th anniversary of Gallipoli, outside the club there were at least 2000 people, or nearly six times as many as 2012. At the War Memorial in Canberra, 120,000 turned out for the dawn service, three times as many as the 37,000 who showed up last year (photo at the top of this post). http://bit.ly/1Omj0EH It’s taken 100 years but we are remembering them — in record numbers. 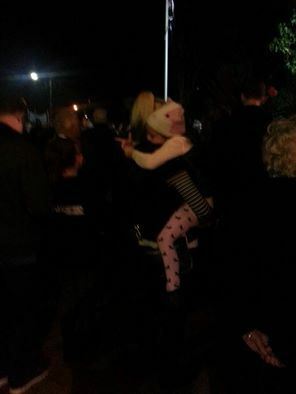 For the quiet suburb of Roseville, it was a huge crowd, spilling onto the footpaths, and all I could see were the backs of people’s heads (poor quality photo below, my only excuse is that it was dark), but it was still a moving tribute. I knew there would be a big rollup as there was a lot of traffic at 4.30am as I walked the kilometre or so to the club in the dark. Then as I reached the Pacific Highway and the Roseville train station at 5am, there were scores of people crossing the road. The closest I could get to the speakers and singers was the front door of the club, and I stood on a little wall surrounding the garden. There were the usual speeches, Bible readings, hymns like Abide with Me, Amazing Grace and Advance Australia Fair, sung by the Gordon group from the Sing Australia choir, the laying of wreaths by club directors, local politicians, school principals and community groups. But when the club secretary Chris Walsh read the Ode, and had us repeat the words — “We will remember them. Lest we forget” — I could feel the shivers down my spine. The crowd, like the one three years ago, was composed of all ages, with lots of toddlers on fathers shoulders or strollers, all happy – not a cry was to be heard (I guess because some of them were asleep). The Last Post was sounded, with a soldier saluting the flag in front of him, and it was one of those moments I’ll never forget. And the Canberra service was special as well, with that massive crowd, and a wonderful speech by the outgoing chief of army, General David Morrison. He delivered the quote of the day: “If war is a sin against humanity, as some would hold, then war itself is punishment for that sin, compounded by its endless repetitions and its hold on those who have experienced its terrors.” In other words, you might survive the battles, but Post Traumatic Stress Disorder might get you in the end. A young Legacy representative, Kate McGuinness, recited a much favoured Anzac poem, In Flanders Field, as if she wrote it. Another wonderful piece from you Tom. If only all the Anzac celebrations had been like this. The hype surrounding the event was over the top. As a result my father, one of the few surviving WW2 veterans though it all too much and did not march. Instead my brother and I went to his place in Canberra and watched the ceremony at the War Memorial on TV. It was excellent and Peter Cosgrove gave an appropriate no frills address in the true spirit of the day. We remembered Dad’s brother Don who was taken captive in Greece and spent time in a prisoner of war camp in Germany. He returned with PTSD and became one of those rarely talked about mentally ill casualties of war. I still remember meeting Don, who became one of Sydney’s itinerants, at the bus shelter on the corner of Elizabeth and Park streets. Dad said Don liked to see me and although he never talked much Don was obviously pleased just to see that I would recognize him as a part of the family. His death is unclear. One version is that he died in a drunken brawl in Balmain, another that he was killed during a fight in Callan Park mental hospital. His death was never investigated by the police or the coroner. My father still speaks highly of an intelligent man who lost his way after the war and died in tragic circumstances. A similar fate befell so many men who fought for our country and returned hoping for reward and instead faced a nation who expected them to forget those horrific events of battles and incarceration and carry on as though nothing had happened to them when in fact it had changed them forever. As I was travelling through Gosford on Anzac morning, hundreds of people were walking towards the local war memorial for the Dawn Service and I wondered how many would have those unseen victims, including the women and children, in their thoughts. I know there are many Vietnam veterans who live up here who would be remembering their mates, many of those men still struggling with the war’s impact on their health. I hope that once the hype has abated and the air is cleared (after all there is the Ypres centenary next year I believe) maybe we can take time out to focus on the casualties, many of whom are still alive. Chris, Thank you. That’s a wonderful comment. And thanks for sharing a poignant story about your uncle, one of the many veterans who suffered from Post Traumatic Stress Disorder. Kumi Taguchi, who you might remember from Channel Nine, is now working for the ABC, and she did an excellent online piece, The Battle after the War, http://www.abc.net.au/interactives/ptsd/ last year on PTSD. She spent two weeks in the Heidelberg Repatriation Hospital in Melbourne being a fly on the wall and talking to veterans who suffered from PTSD. It’s a really good piece, full of empathy and insights, and the men are very honest about their illness. It was part of the ABC’s Mental Health week last year. So many people bag the ABC, but few praise them when they do good things. Thanks again for your comment and reading my blog.